River herring are diadromous fish that spend most of their life in saltwater but migrate to freshwater to spawn (reproduce). The two species of river herring found in New England waters are the alewife (Alosa psuedoharengus) and blueback herring (Alosa aestivalis). Alewives are found from Nova Scotia through North Carolina, while bluebacks extend their range even further south to Florida. 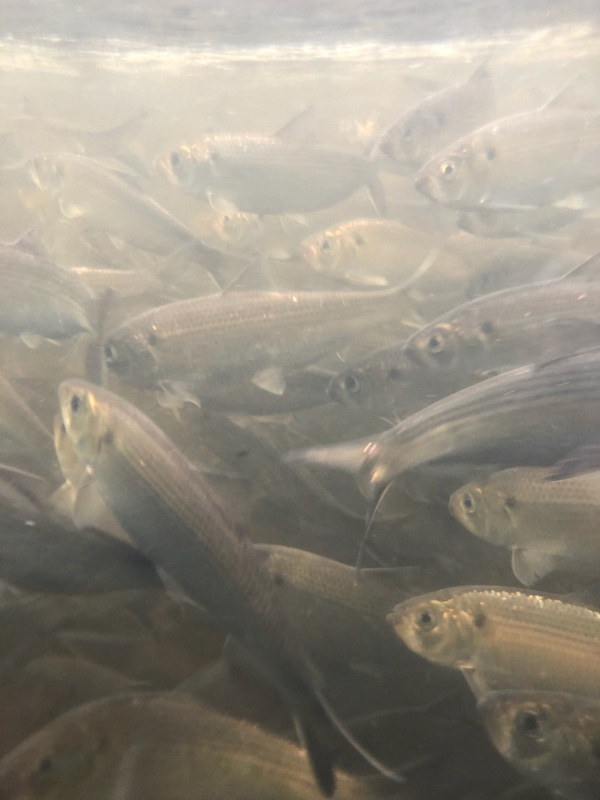 Both species of river herring are an important food source for marine mammals, seabirds, river otters, raccoons, and commercially important fish like striped bass, cod and tuna. 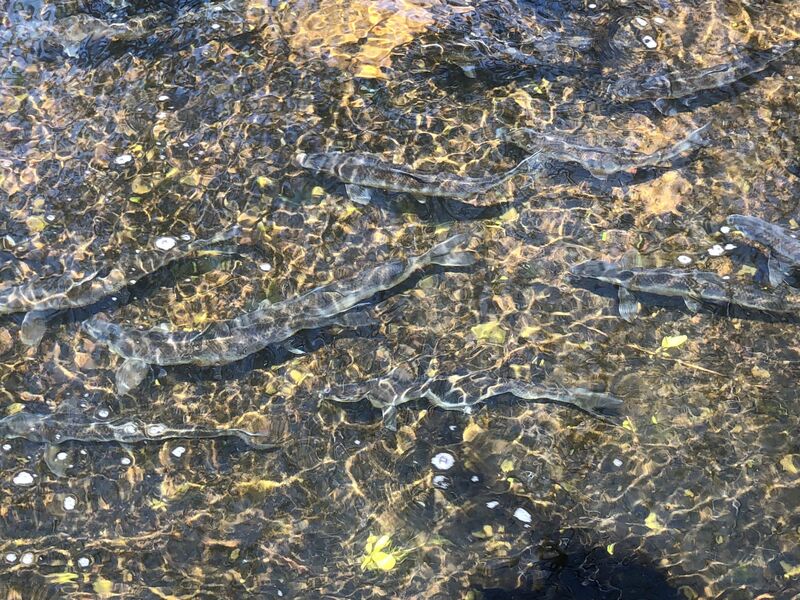 The annual river herring “runs” begin in the spring when the waters have warmed up with alewives migrating first, followed a short time later by the bluebacks. 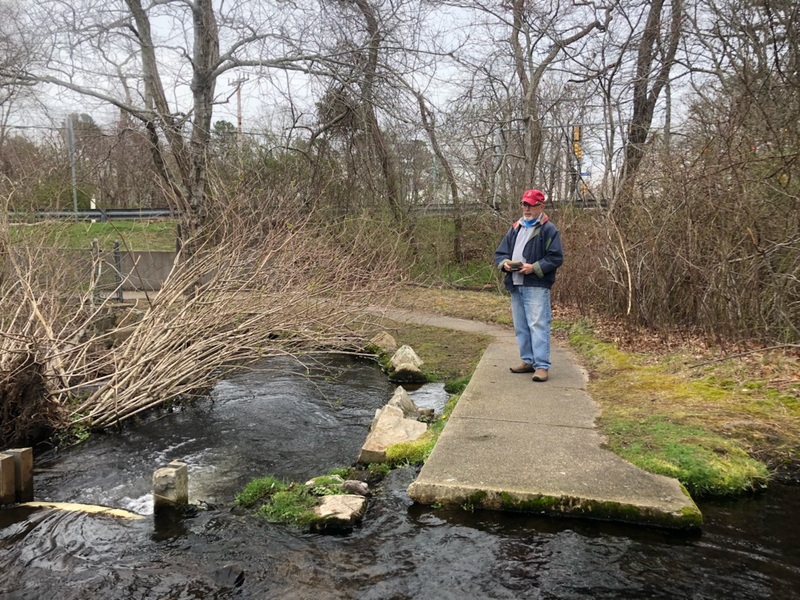 For the Marstons Mills River herring run, the fish travel from Nantucket Sound, through the Three Bays estuary, then up the Marstons Mills River via fish ladders at Mill and Middle Ponds to their final spawning destinations in Middle Pond and Mystic Lake. During spawning, female herring release millions of eggs that are fertilized by the males with very few of these eggs surviving to hatch. Most of the adult herring then return back to the salty ocean after spawning to repeat the cycle again the following year. 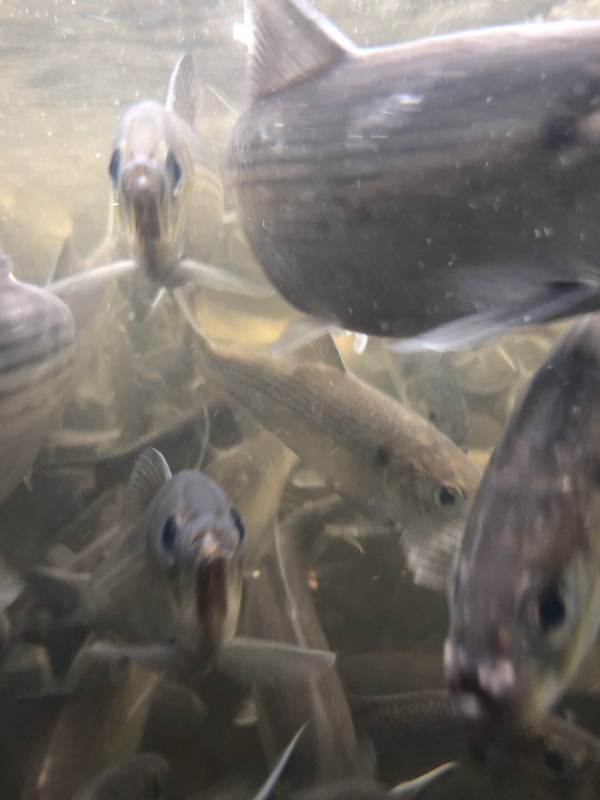 Hatching from their eggs in less than a week, the young herring spend the summer months growing and feeding on phytoplankton and zooplankton in their freshwater habitat. As the waters begin to cool in the late summer/early fall, the juvenile herring head downstream into the estuary and out to sea. They will spend the next three to four years maturing in the ocean until ready to migrate back to their spawning grounds. 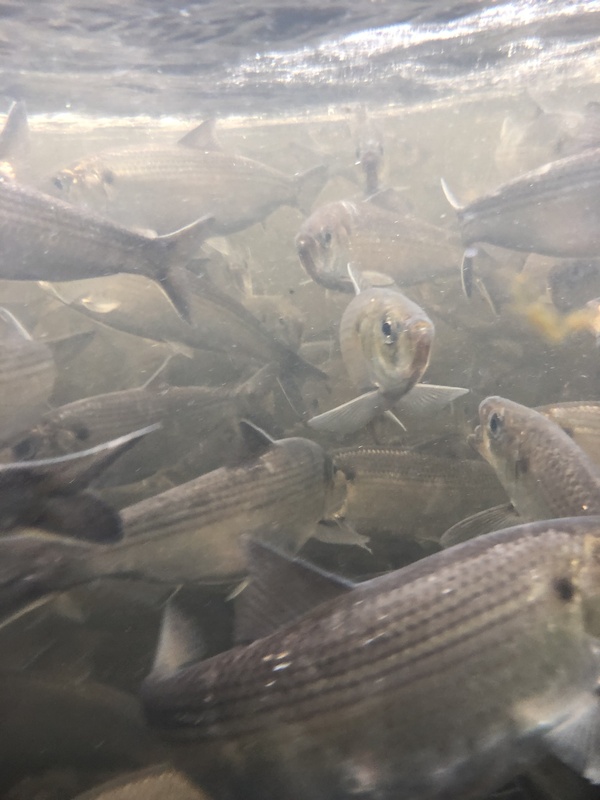 In response to a decline in river herring populations due to overfishing, obstructions in rivers and habitat degradation, the state of Massachusetts imposed a moratorium on the commercial and recreational harvesting of river herring in 2006. 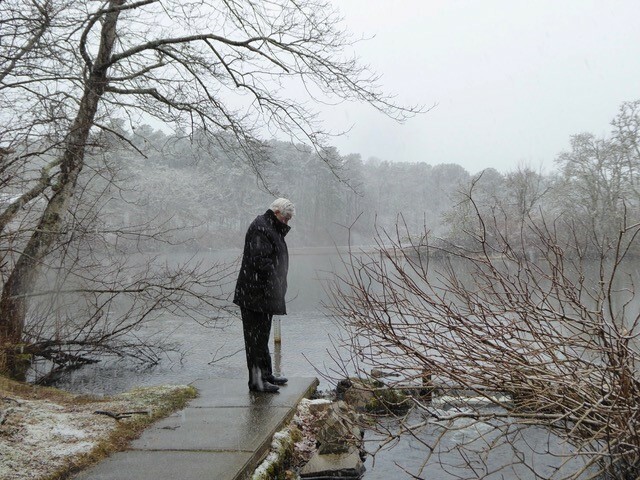 That same year, the visual counting of herring by volunteers began at the Mill Pond fish ladder. 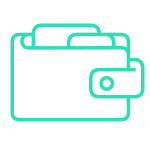 In 2014, Three Bays Preservation, Inc., took over the training and coordination of this monitoring program. Currently, there are 100 herring runs located in 48 towns in Massachusetts. Thirty-five of these runs have visual herring count stations and 14 have cameras and electronic counters. 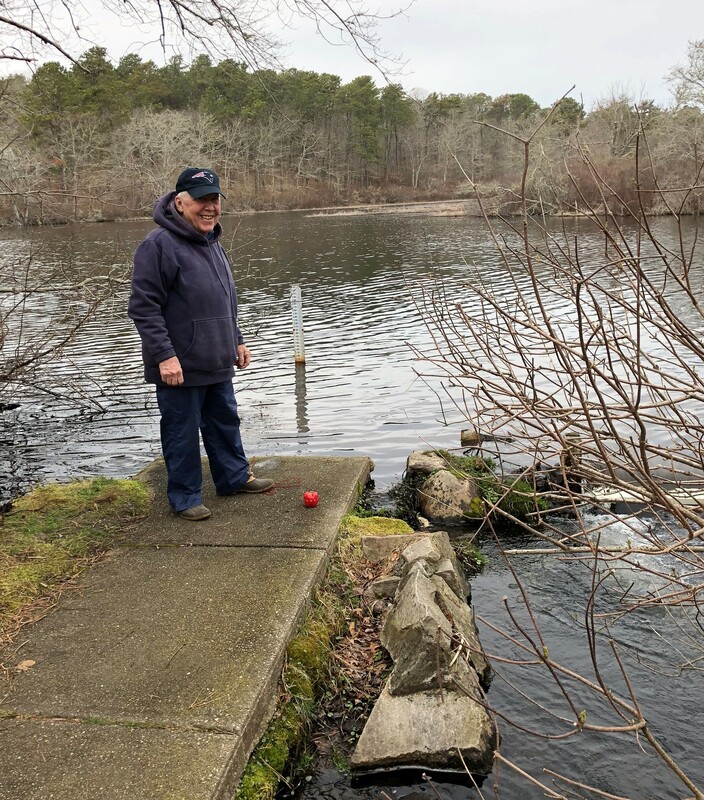 Per the Massachusetts Department of Fisheries and Wildlife (MA DMF), the visual herring count begins on April 1st and usually lasts approximately four to six weeks. Volunteers spend ten minutes per hour daily from 7am to 7pm counting the herring as they swim up the fish ladder and into Mill Pond. In addition, volunteers record water temperature and weather conditions at the time of their count. The visual count data is sent to MA DMF at the end of the herring run. Scientists use the data and a mathematical algorithm to calculate the estimated herring run size for each visual count location. 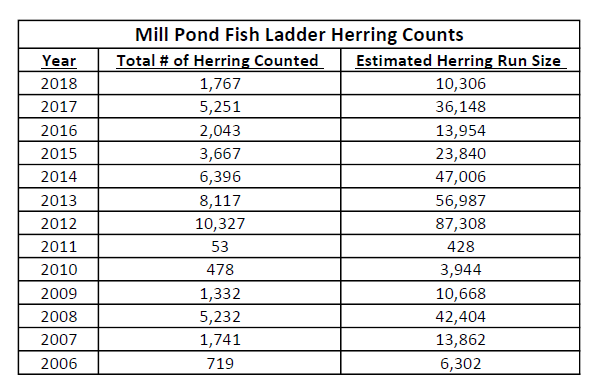 To date, 2012 is the largest year on record for the Marstons Mills River herring run with 10,327 fish counted and a run size estimated to be 87,308 herring. This large count was followed in subsequent years by decreasing counts: 2013 – 8,117, 2014 – 6,396, 2015 – 3,667, 2016 – 2,043, and 2017 – 5,251. In 2018 – 1,567 herring were counted with an estimated run size of 10,306 fish. It is not uncommon for a high-count year to be followed by several low-count years, because herring migrations occur in three to four-year cycles. However, these low counts could also be indicative of changes in water temperatures, predation and food distribution. If you are interested in being a herring count volunteer, please email us at info@bcleanwater.org. Find out more about how to get involved with Barnstable Clean Water Coalition. 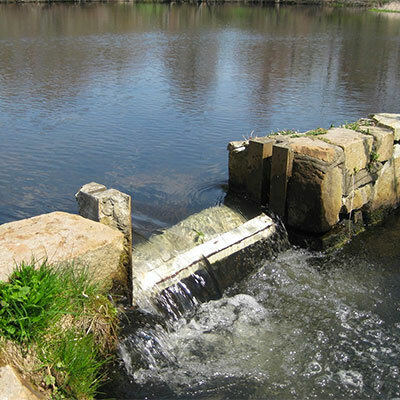 Find out more about what Barnstable Clean Water Coalition does for the Cape Cod waterways.